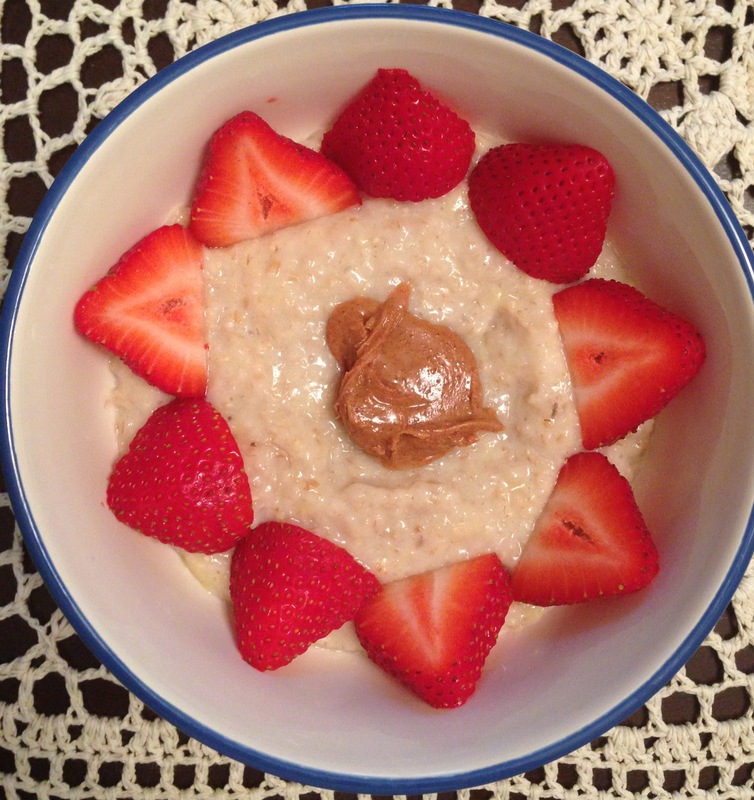 In WIAW #1, I mentioned having made delicious coconut oatmeal for breakfast. Here is what I used to make it. It was perfect and there is not one thing I would change about this. Directions: Bring water to a boil. Add oatmeal and banana and reduce heat. Allow oats to cook through. Remove from heat for 2 minutes. Add egg whites and stir so that oats and egg whites are completely blended. Return to low heat and allow 5 minutes to cook. Add ground flax seed, coconut extract, and Stevia (optional). Top with peanut butter and strawberries. You can top these with whatever you want. I think pineapple would taste awesome as well I just haven’t tried it yet.